Secured credit cards can be a great way to rebuild credit, as they offer easy approval for those who don't mind paying a deposit and report payment history to the major credit bureaus. 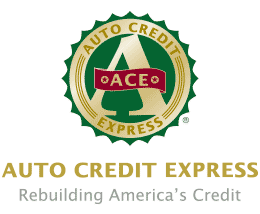 For someone with damaged credit, secured cards are an opportunity for a second chance at credit. Below is a summary of the top secured cards we recommend for those with a bad credit history, along with links to each card's online application. Many people have questions about secured credit cards, but the truth is, a secured credit card works the same as a traditional credit card. While being approved for an unsecured card can be difficult with poor credit, a secured card provides a viable option for someone with a low credit score, or someone looking to build their credit history. It’s easier to be approved for secured cards because they require a deposit to “secure” the line of credit, hence the name. Below we’ll explain how secured cards and deposits work and provide the answers to some common questions surrounding secured credit. A secured credit card is a credit card that requires a deposit upon approval, and, when used responsibly, can be a tool to help consumers with poor credit rebuild their credit. They can also help people with no credit history establish a line of credit. Aside from the required deposit, secured cards work in the same manner as unsecured cards. What this means is that your credit limit is primarily based on your deposit amount — if you’re required to make a $300 deposit, you will likely be issued a $300 credit limit. There’s also what’s known as partially secured credit, in which case your deposit is less than the amount of credit you receive. Receiving a partially secured line of credit is based on your credit history and is at the sole discretion of the issuer. Secured credit cards are for people with bad credit or for those who have little-to-no credit history. Unsecured credit cards are still available to those with bad credit, but the lower your credit score, the more difficult they are to be approved. The deposit is the bank’s way of protecting itself in the event payments are missed or defaulted on, in which case the amount owed is then deducted from your deposit. This is the primary difference between secured and unsecured credit. 2. How do Secured Credit Cards Work? After your deposit is received, you’ll be mailed a credit card to use as you would any other credit card. Whether you’re reserving a hotel room online or making a purchase from your local grocery store, the person on the other side of the register will be none the wiser to the fact your card is a secured card. With many secured cards, you’ll have the opportunity for credit line increases with responsible use (more on that below). By using the card to help elevate your credit score and/or establish credit history, you should then be able to close the account and apply for an unsecured card. Your deposit will then be refunded to you, so long as it wasn’t used to cover missed payments. 3. Do Secured Credit Cards Help Build Your Credit? They can when used properly. There are two primary rules to follow when using your secured card to improve your credit. 1. Always pay your credit card bill — and other bills — on time. On-time payments are the most important factor when calculating your FICO credit score. In fact, they account for 35% of your credit score. 2. Keep your credit utilization ratio below 30%. Your credit utilization ratio is a percentage of how much debt to available credit you have. For example, a credit line of $1,000 with a $500 balance has a 50% utilization ratio. In this instance, you would never want your balance to exceed $300. Your credit utilization ratio is the second most important credit score determinant, accounting for 30% of your FICO score. By following these two best practices, your secured credit card can help you improve your credit history and score. Additionally, you want to be sure to choose a secured credit card that reports to the major credit bureaus, otherwise, your good credit behavior will have no effect. Most secured cards do, but it’s important to be sure beforehand. 4. How do I get a Secured Credit Card? You can apply for a secured credit card just as you would other credit cards. The simplest and fastest way to do so is online. See our reviews above for some of the best secured cards available. Most banks will approve or deny your application within minutes, if not seconds, after the application is submitted. However, there are some secured credit cards that may take longer to approve or deny an application. Read the terms and details pages of cards and applications to understand approval guidelines. Some people aren’t comfortable giving personal identifying information online, and that’s okay — you can still apply over the phone if you prefer. You can easily find any issuer’s application phone number on its website. 5. What are the Best Secured Credit Cards Available? Our experts have reviewed some of the best secured cards on the market, and the top picks are listed above. You’ll want to choose a card that reports to all three major credit bureaus — Experian, Equifax, and TransUnion — and one that doesn’t have exorbitant fees associated with it. Some secured cards carry annual fees, monthly maintenance fees, late payment fees, and credit limit increase fees. These can be avoided by reading the terms and conditions for each card and choosing the one that isn’t trying to nickle-and-dime you. While you may have to settle for a higher APR, you shouldn’t have to settle for outrageous fees.